The Rebel Heart Tour was released as a live album on September 15, 2017, two years after the start of the tour. The concert video of the Rebel Heart Tour was made available on DVD and Blu-ray. It included the same footage as the show that was broadcast on Showtime in December 2016: mostly the show in Sydney, but shortening several performances and axing Love Don't Live Here Anymore from the HeartBreakCity medley and the Lucky Star sample from the Dress You Up medley. The surprise song Like A Prayer on the other hand was included as bonus material, and so was an excerpt from the Tears Of A Clown show in Melbourne. The Japanese edition of the DVD and Blu-ray also includes Take A Bow. The live album with tracks from the show was made available in two formats. A single disc with a selection of 14 songs was available in a bundle with either the DVD, either the Blu-ray. A double disc with 22 tracks (all except for the interludes) was sold separately. 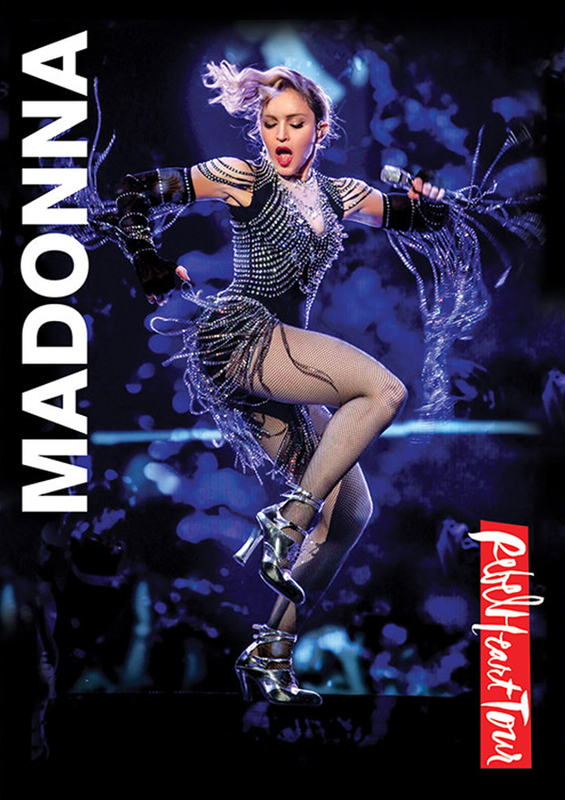 The cover of the release was shot by Josh Brandão, Brazilian photographer and close friend of Mad-Eyes webmaster Bartie, when attending the Rebel Heart Tour in Prague. Read our interview with Josh here.